Year one of a digital transformation program has its challenges. To get a transformation started, CIOs must get an executive team to formulate a strategy, agree on the program’s leadership, and establish a budget. There needs to be agreement on a roadmap of initiatives that deliver improved customer experiences, empower the data driven organization, transition to more nimble technology platforms, prioritize opportunities to automate, and engage the workforce on driving change. To pull this off, many CIO are maturing agile processes, product management disciplines, data science skills, and other foundational practices that drive innovation, speed to market, and data driven insights. As hard as year one is, year two and beyond has its own challenges. The initial excitement of transformation programs begins to wear off and the grind of execution starts to consume participants. The expectation to go from quick wins to business impacting results increases. There’s a strong likelihood the team will need to adjust priorities and tactics based on what they’ve learned and market conditions. Lastly, every transformation has its detractors and their voices are magnified if the changes are harder to implement than forecasted or if the results are slower to materialize. 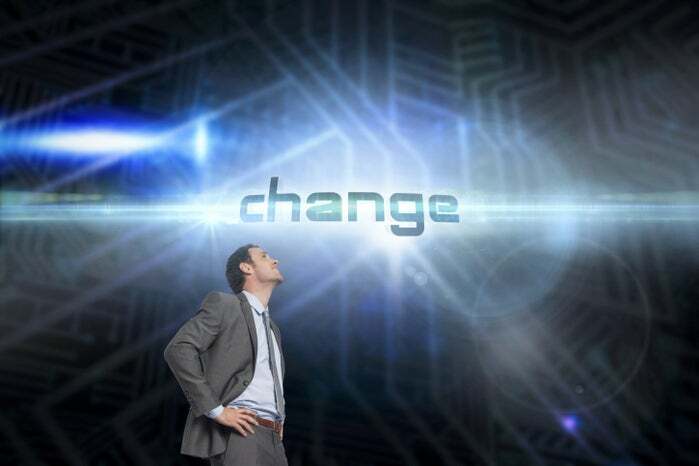 CIO’s need to be communicating and marketing a portfolio of initiatives that drive digital transformation especially when they are in the middle years of transformation program. By then, there are usually multiple initiatives running at different stages and with different teams. With so much going on, it’s critical to mature a marketing program that excites employees when the programs produce results and a communication strategy that shares progress and changes to schedules and priorities. Marketing programs need to reinforce the mission and goals of the program because employees need to be reminded of the long-term objectives. These programs should also provide news on how investments are benefiting customers and share stories of employees succeeding with their digital initiatives. Communications programs should help employees understand what’s coming next to help alleviate their change driven anxieties. These programs should also advertise ways for employees to get involved including learning opportunities, open roles on programs, or ways to share their expertise. In my book Driving Digital, I emphasize several digital practices that are foundational for transformation programs including product management, agile development, data science and management, and portfolio management. These practices drive organizations to be smarter and faster, deliver amazing customer experiences, and democratizes access to analytics. It takes ongoing investment to mature these practices, and they by themselves drive the need for new ones. For example, when the enterprise leverages agile practices to deliver both customer facing and enterprise software applications, it often leads organizations to consider devops practices to help automate cloud operations, scale applications on demand, aid in delivering more frequent application improvements, or increase monitoring of the customer experience. Similarly, when organizations invest in big data and data science programs, it often drives the importance of instituting data governance, automating data pipelines, or addressing data security risks. Another thing to consider is whether the organization is succeeding with its technology platform and architecture strategies. Use of digital platforms that were selected and used as part of the transformation program should be growing and there should be multiple use cases in production or being implemented. At the same time, there should be demonstrable decreases in how legacy systems are being used and ideally several have been replaced with modernized ones. If neither of these are happening fast enough, then it’s worth reviewing and either updating the technology strategy or reviewing what’s impeding progress. Related to platforms is whether technology R&D and innovation programs are still receiving funding and adequate priorities. Once a transformation program is in execution mode, it’s likely that key people that were instrumental in selecting the initial digital platforms are now working with implementation teams and executing initiatives. In addition, business sponsors who always must be running the business and are now likely involved in change management programs may have less time and interest to drive research into new partnerships and platforms. This can be problematic because we’re on the heels of the next wave of technology driven disruption from emerging technologies like artificial intelligence, blockchains, and larger scale IoT deployments. If funding or attention to R&D programs is fading, CIO should be looking for ways to reposition their importance and finding new sources of funding and talent to drive them. CIOs should be looking for the inflection points of when and why to sponsor the second wave of digital practices. If more people need to be engaged in the transformation, then consider a focus on marketing and communications. When there is a maturity around the first wave of digital practices, then seek out new ones that increase productivity, quality and collaboration. If technology and innovation driven progress is stagnant, then look for new opportunities to revitalize these programs. Proactive CIOs will get their leadership team seeking and sensing these opportunities well before the urgent need to introduce them. Is design thinking the secret to digital success?